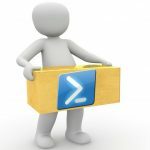 In a previous article here on TechGenix, I talked about how Mark Van Noy, a Technical Lead/Architect at the University of Colorado Boulder in the Greater Denver Area, had been experiencing some problems with trying to deploy App-X packages in Windows images that had been prepared using Sysprep. Mark had wanted to remove some specific App-X apps from his master gold image so that non-business-related apps were not being imaged out to his entire enterprise. A good example, of course, would be Candy Crush Saga, which Windows 10 has provisioned to every Start Menu. Most organizations like Mark’s would, of course, likely want to remove games from Windows 10 like Candy Crush or the Solitaire App-X apps from their images before deploying Windows 10 to their users. In this present article we’re going to examine Mark’s solution to the problem he was facing. The solution that he was able to craft together involved using Windows PowerShell. Let’s now hear how Mark achieved his goal. The simple solution is to simply remove the corrupted database and let Windows re-create it based on the actual state of the computer rather than the state the SQLite database thinks it is in. The only catch is that the database resides in %SYSTEMDRIVE%\ProgramData\Microsoft\Windows\AppRepository\, which is a directory owned by Trusted Installer. Even the local Administrator account lacks permissions to take ownership of this directory or change permissions. REM Scheduled Task handles deleting the Scheduled Task if it is successful. ECHO %username% is not the same as Administrator. # information and thus allowing Sysprep to complete successfully. $targets = "*XboxApp*", "*WindowsStore*", "*BingFinance*", "*BingNews*", "*BingSports*", "*BingWeather*", "*WindowsMaps*", "*ZuneMusic*", "*ZuneVideo*", "*Messaging*"
$targets += "*SkypeApp*", "*MicrosoftOfficeHub*", "*Sway*", "*People*", "*SolitaireCollection*", "*3DBuilder*", "*ConnectivityStore*", "*windowscommunications*"
$targets += "*WindowsCamera*", "*SoundRecorder*", "*Alarms*"
$names = "*CandyCrush*", "*Sway*", "*3DBuilder*", "*ZuneVideo*", "*Advertising*", "*WindowsMaps*", "*SolitaireCollection*", "*XboxApp*", "*WindowsStore*"
$names += "*BingSports*", "*BingWeather*", "*ConnectivityStore*", "*BingFinance*", "*BingNews*", "*ZuneMusic*", "*Messaging*", "*People*", "*Twitter*"
$names += "*SkypeApp*", "*OfficeHub*", "*windowscommunications*", "*WindowsCamera*", "*SoundRecorder*", "*Alarms*"
Interested readers who might like to try out Mark’s solution as described in this article can download all of Mark’s scripts as TXT files in this ZIP archive. Once you've download these scripts you can customize them as needed and then use them in your own environment. Be sure to try out any solution like this in a test environment, however, before using it in your production environment. Running this on windows 1803 completely broke the start menu, settings application, and "Get-AppXPackage -AllUsers" reports nothing now. So running this on windows version 1803 breaks the start menu and settings application?